Terpene infused CBD – earthy pine and sour lemon aroma. Popular strain in the 90s! Now that we’re stocking this fantastic terpene infused El Patron OG Kush CBD e-liquid, you can re-experience the taste of this classic strain. This 30ml bottle of CBD e-juice is made using only the highest-grade ingredients using a 50/50 ratio of PG/VG bases and 300mg of 100% organic cannabidiol additive with zero THC content. 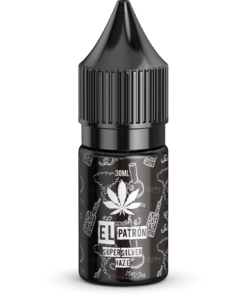 While our e-juice doesn’t taste like marijuana Thanks to its instantly recognisable earthy pine and sour lemon flavour, it will remind you of one of the most popular strains of the 90s – OG Kush – and we’re proud to offer this 3% terpene infused CBD e-liquid to our customers so they can enjoy that timeless aftertaste and aroma without the unnecessary high. 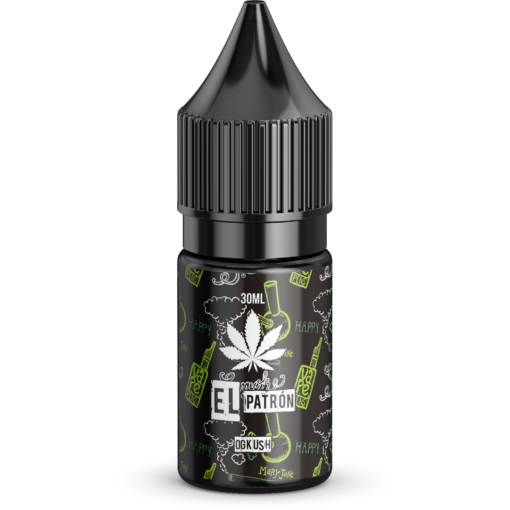 This OG Kush CBD e-juice is perfect for vaping, and can be used with any electronic cigarette. And remember, all our e-liquids can be diluted if you prefer something with a little less bite. Looking for some new, exciting cannabidiol e-juice similar to our El Patron OG Kush CBD oil? Why not have a look at our full range? We make all of our products in our ISO clean rooms in our UK-based laboratory. The FDA has certified us as we adhere with all the rigorous tests and guidelines required for the sale of CBD products. No need to worry about secure purchasing – our encrypted payment gateway is always safe. We strive to provide excellent customer service – responding promptly to all enquiries. I was a bit worried what this would taste like but i took a punt on it and I’ve been pretty happy with it – nice one. This OG Kush is really nice. Would buy again in future. Fast delivery also.